The next Innovation from GGI, the Enhanced Daily Carry system yields reduced trigger pull weights with dramatically improved pull characteristics in the SIG SAUER Classic P-Series DA/SA pistols. This system consists of our new SOT (Straight Optimized Trigger) mated to a enhanced trigger bar. In addition, multiple drop-in options will be available to tune your action for your specific need. The SOT trigger face contour provides unequalled double-action feel and optimal 90 degree single action break angle with desireable straight-face control. 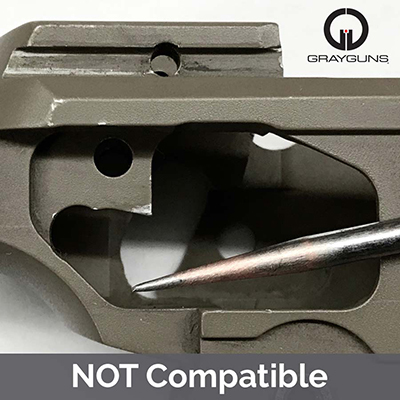 Grayguns proprietary enhanced leverage geometry reduces pull weight approximately 25% without compromising reliability or factory safety values. The SOT is dual-adjustable for free and over-travel, the Grayguns standard. Each GGI enhanced geometry trigger bar is micro polished for superior smoothness and perfectly timed function. 100% American made from precision machined heat treated tool steel, then hand finished and treated with tungsten DLC for unlimited service life. 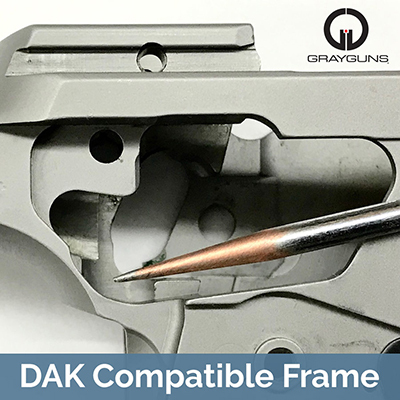 This kit is compatible with P226/229/228 pistols that have the larger DAK-capable frame window cut. This can only be purchased as a complete system and REQUIRES the trigger AND the trigger bar in order to function. 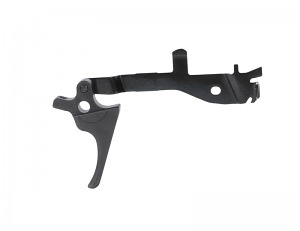 We also recommend the Grayguns 19 lb Mainspring to fully optimize this trigger system. Improved the trigger pull and dropped the weight about half a pound in single. Double still maxes out my pull gauge, but feels better. The physical from of the trigger itself is really nice too. Adjustment are tight, so I don't worry that they will move with recoil. Overall a good worthwhile upgrade. My P226 already have a nice trigger job, SA pull is around 2.5 lbs. With this kit put in, now the SA is around 2.2 to 2 lbs.